MIDDLETON, Wis. & MANCHESTER, England--(BUSINESS WIRE)--Feb. 7, 2019-- Spectrum Brands Holdings, Inc. (NYSE: SPB) and Manchester United plc (NYSE: MANU) jointly announced today the signing of a multi-year, global partnership under which Spectrum Brands’ iconic Remington® personal care brand will become the Manchester United Football Club’s first official Electrical Styling Partner. 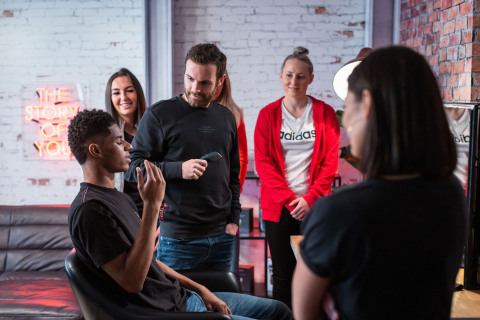 The partnership, featuring both the men’s and women’s teams, will see Remington® and the club working together to deliver high-impact marketing campaigns to Manchester United and Remington fans alike. One of the largest brands in Spectrum Brands’ broad portfolio, Remington® has been integral to the world’s grooming and hair care routines for generations. Established in New York in 1937, for more than 80 years the Remington® brand has been inventing, reinventing and evolving to create a range of grooming and hair care products at the cutting edge of design, fashion and technology. As part of a major multi-channel activation, Remington® and Manchester United will collaborate on a campaign which celebrates individuality and the power of inner confidence. The partnership will underpin and amplify Remington’s “The Story of You” campaign, which champions the brand’s mission to help customers build confidence to be themselves – recognizing that a person’s journeys, experiences, values and aspirations make up who individuals are as people. The partnership will seek to inspire and enable more people to “Get Your You On”, motivating them to have the confidence to make their mark in everything they do. Manchester United plc (NYSE: MANU) is one of the most popular and successful sports teams in the world, playing one of the most popular spectator sports on earth. Through our 141-year heritage, we have won 66 trophies, enabling us to develop the world’s leading sports brand and a global community of 659 million followers. Our large, passionate community provides Manchester United with a worldwide platform to generate significant revenue from multiple sources, including sponsorship, merchandising, product licensing, new media and mobile, broadcasting and match day. As a leading and widely recognized global brand of Spectrum Brands Holdings, Remington® has been helping the world get ready for more than 80 years. Powered by decades of industry-leading innovation, Remington takes pride in being at the very cutting edge of technology. Remington® works with top salon professionals from around the world to produce electrical personal care products that really work, care for you, and deliver impressive results every single time. For more information about Remington, visit www.remingtonproducts.com (US) or https://eu.remington-europe.com (EU). Spectrum Brands Holdings (NYSE: SPB), a member of the Russell 1000 Index, is a global consumer products company offering a broad portfolio of leading brands and focused on driving innovation and providing exceptional customer service. Our Company is a leading supplier of residential locksets, residential builders’ hardware, plumbing, shaving and grooming products, personal care products, small household appliances, specialty pet supplies, lawn and garden and home pest control products, and personal insect repellents. Helping to meet the needs of consumers worldwide, our Company offers a portfolio of market-leading, well-known and widely trusted brands including Kwikset®, Weiser®, Baldwin®, National Hardware®, Pfister®, Remington®, George Foreman®, Russell Hobbs®, Black+Decker®, Tetra®, Marineland®, Nature’s Miracle®, Dingo®, 8-in-1®, FURminator®, IAMS® and Eukanuba® (Europe only), DreamBone®, Digest-eeze™, Healthy-Hide®, Littermaid®, Spectracide®, Cutter®, Repel®, Hot Shot®, Black Flag® and Liquid Fence®. Based in Middleton, Wisconsin, Spectrum Brands generated fiscal 2018 pro forma net sales of approximately $3.79 billion for the four continuing businesses in fiscal 2019 – Hardware & Home Improvement, Home & Personal Care, Global Pet Supplies, and Home & Garden. Fiscal 2018 reported net sales from continuing operations were approximately $3.15 billion. For more information, visit www.spectrumbrands.com.